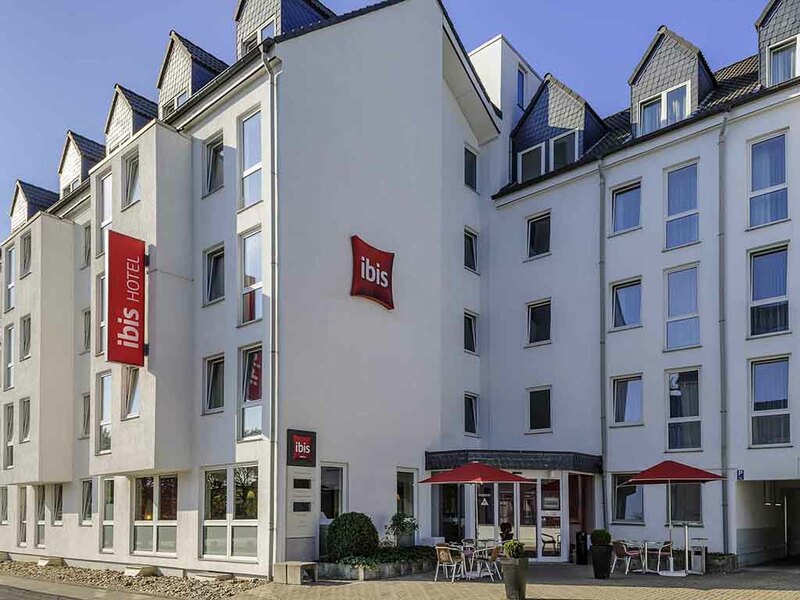 Welcome to the Rhine: The 3-star ibis Köln-Leverkusen is situated in Leverkusen city center, ideal for leisure and business travelers alike. The Bayer offices are opposite the hotel, and the "BayArena" and the Fühlinger lake with its festivals are not far away. Trade fair visitors will enjoy the direct train link to the Cologne trade fair grounds, just 8 km (4 miles) away, and Düsseldorf, 30 km (18 miles) away. There is also a direct train link to Lanxess Arena in Cologne. All 88 rooms are non-smoking and offer maximum comfort and relaxation. The wonderfully comfortable Sweet Bed by ibis beds ensure a restful night's sleep. The rooms include a desk, flat-screen TV and free WIFI. The Ibis Köln-Leverkusen Hotel's bar is located in the lobby. We are open around the clock and serve a wide range of drinks and tasty snacks. In fine weather, the terrace provides the perfect place to relax.